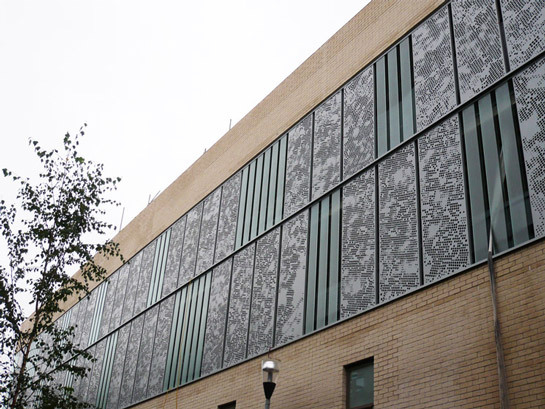 For the past year we have been working on the design of a fret cut aluminium screen for the north face of a new 100% affordable housing development in Hackney. This morning we finally got to see it with the scaffolding removed. The architecture is by Davy Smith Architects and the build is by Kind+Co. It is due to be completed at the end of this year.